With today's free spring update for Windows 8.1, Microsoft is pushing out more than mere tweaks and bug fixes. It's pushing out a message: "We're listening," Microsoft is whispering. "PC users, we want you back." And amazingly, this digital love letter should woo over all but the most obstinate of the PC faithful. The Windows 8.1 Update is still not quite perfect, but it atones for Windows 8's most egregious sins, finally transforming Windows 8 into a desirable operating system even for diehard keyboard and mouse users. There's little reason not to migrate to Windows 8 if you're on the hunt for a new PC now. Simply put, the Windows 8.1 Update no longer treats keyboard-and-mouse users as second-class citizens—a first in the new-look Windows 8 era. A large part of the reason Windows 8 received such fierce backlash was because it simply pushed too far, too hard, be it by intentional design or a sheer lack of time. The changes were drastic—no more Start menu, arcane commands for summoning invisible menus, Live Tiles everywhere—and Microsoft all but rubbed your face in them. You will learn. No more. The original Windows 8.1 update began dialing back Windows 8's heavy finger focus mere months after the operating system's launch, bringing back a Start button and giving users the (deeply buried) option to boot directly to the desktop. Tuesday's new Windows 8.1 Update continues down the path of refinement, and it utterly shines because Microsoft has finally decided to let a tablet be a tablet and a PC be a PC. Ironically, Microsoft is closer now than it ever was to embodying the "No compromises" tagline originally spouted with Windows 8 vanilla. Unlike the one-size-fits-all nature of its predecessors, the Windows 8.1 Update adjusts its behavior depending on your hardware configuration. If you're using traditional PC hardware, it'll boot you directly to the desktop, and the operating system will open media files in the desktop-bound Windows Photo Viewer and Windows Media Player software, rather than dumping you into the Metro Photos, Videos, and Music apps. Being able to stay in the interface you prefer rather than being tossed willy-nilly between the desktop and Modern interfaces is absolutely wonderful. It's too bad that it's taken two updates to get here. The addition of a mouse-friendly menu bar in Metro apps is much appreciated. The magic doesn't end there, though. 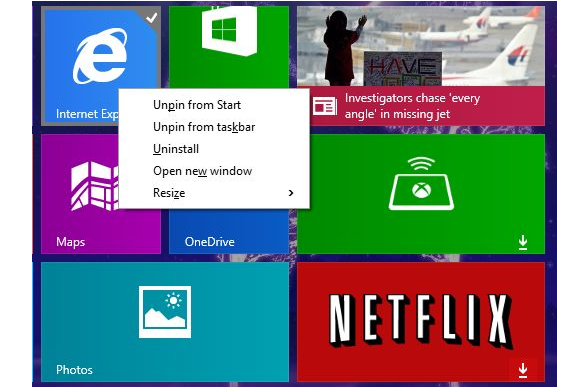 The traditional right-click context menu now appears on the Start screen for PC users, eliminating the need to move your mouse all the way down to a pop-up options bar at the bottom of the screen when you're adjusting Live Tiles. And you can say sayonara to Windows 8's awkward click-and-drag controls for resizing Modern-style apps, too. Apps now sport a mouse-friendly menu bar up top, with options for closing, "Snap" multitasking, and minimizing the apps with a click. Yes, I said "minimizing." 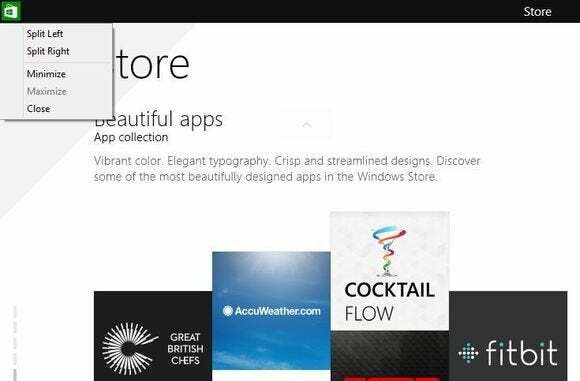 The Windows 8.1 Update shows open Modern apps in the desktop taskbar, though the feature can be disabled if you'd like. They behave just like traditional desktop programs down there, with support for pinning, jump lists, and peeking. Speaking of the taskbar, it now appears throughout the operating system. Moving your cursor to the bottom of the screen causes it to pop up even in Modern apps and the Start screen itself. 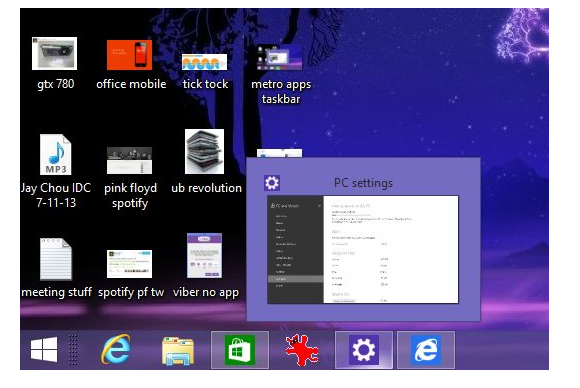 The taskbar appears system-wide in the Windows 8.1 Update, even in Modern apps. It's great. The universal taskbar is a little janky—it looks weird in the Modern UI and can cover interface elements in some Modern apps, which weren't designed with desktop elements in mind—but it does wonders for fusing Windows 8's Jekyll-and-Hyde desktop and tablet interfaces into a more cohesive whole. Using Modern apps is no longer a cognitive burden. Closing them or quickly jumping to another program is now as simple as when you're using desktop software, so PC users don't need to replace Windows 8's Mail, Calendar, and other core apps post-haste anymore. Sure, it sounds modest, but the combination of the new Modern app menu bar and the anywhere, everywhere taskbar have greatly improved the speed of my workflow whenever I need to delve into Modern apps. It'd be nice if there was a way to make the taskbar permanently appear in the Modern UI, however. Microsoft also responded to complaints about Windows 8's hidden menus in the new update. The Modern Start screen now includes discrete Power and Search buttons in the upper-right corner, and a tile for the Modern-style PC settings option is now included by default. Hallelujah! Previously, all of those crucial commands were buried in the Charms bar hidden behind an arcane mouse gesture. You can see all of the Windows 8.1 Update's changes in picture form for yourself—there are more than I'm talking about here, and every single one is a step forward—but what's almost more impressive is who won't see all the desktop-focused tweaks. "What we've done to make touch great is unaffected by these changes," Microsoft exec Joe Belfiore said while announcing the update at Microsoft's Build conference last week. "They're still present, but not required for mouse and keyboard users." You won't see this mouse-friendly context menu on the Modern Start screen if you're using a Windows tablet. 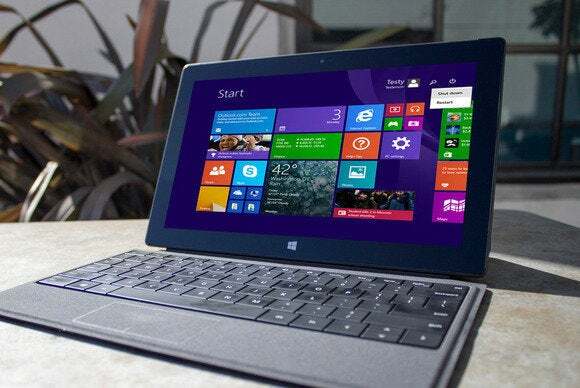 Indeed, if you have a device that uses a touchscreen as its primary input, you'll still use the same old touch-friendly Windows 8 interface, with the same old boot to Live Tiles and the same old finger-friendly app options bar on the Start screen. What's more, the changes found in the first Windows 8.1 release makes it easier for tablet users to stay in the Modern UI without crossing over to the desktop. Like I said: With the Windows 8.1 Update, Microsoft's letting a tablet be a tablet and a PC be a PC. Finally. In case it's not clear, while Microsoft is willing to compromise on its vision for the future of Windows in order to appease disgruntled PC users, apps and the Modern/Metro/whatever interface are here to stay, and doubly so with the advent of Microsoft's audacious universal app endeavor. Fortunately, the changes in this update hide them elegantly enough that keyboard-and-mouse users no longer need to fuss over them. Modern apps are suprisingly viable now that they have mouse menus and are featured in the universal taskbar, complete with peek and pin abilities. Oh, and the last two things PC purists can complain about, the last little tidbits holding the Windows 8.1 Update back from being what Windows 8 should have been? Microsoft's working on it. Yes, the Start menu and the ability to run Modern apps in desktop windows are coming back to Windows… someday. 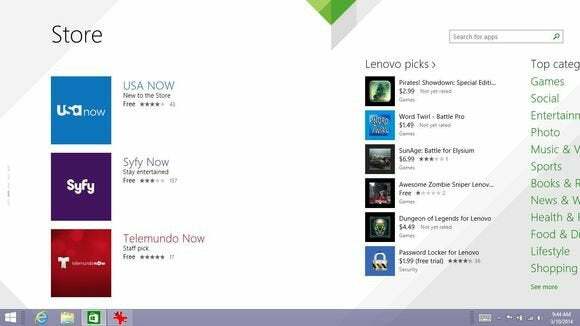 Until then, you might consider picking up a Start menu replacement tool and the superb Modern Mix software to ape those features—but don't let fear of Windows 8's drastic overhaul scare you away any longer. The tweaks in the Windows 8.1 update may be minor individually, but collectively they return Windows to its roots and transform it into a truly PC-friendly operating system once again, especially paired with Windows 8's superior under-the-hood chops. It's finally safe to upgrade to Windows 8, though the operating system still offers few compelling reasons for happy Windows 7 owners to actively make the switch. If you already have the new OS, now's the time to download Windows 8.1 (via the Windows Store) and this stellar update (which will be pushed using traditional Windows Update methods). You'll be glad you did.